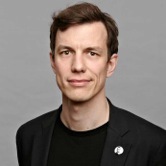 Sebastian Vehlken is Junior Director of the Institute for Advanced Study on Media Cultures of Computer Simulation at Leuphana University Lüneburg. He was visiting professor at Humboldt University Berlin, at the University of Vienna, and at Leuphana, and Research Fellow at the IFK Vienna. His main research interests focus on media theory, cultural techniques, and the media history of computer simulation and supercomputing. Recent publications include Neighborhood Technologies: Media and Mathematics of Dynamic Networks, ed. with Tobias Harks (Zürich: Diaphanes 2015).